This is a complete oil painting portrait instructional demonstration. Follow as Steve begins with a charcoal portrait drawing study to resolve compositional and design issues and moves on the oil painting. 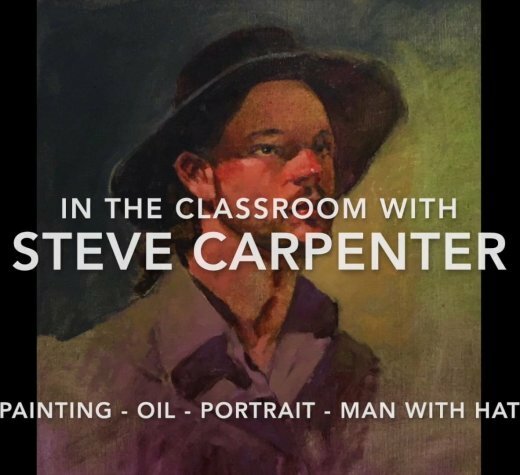 The purpose of this instructional video is to provide an approach to charcoal and oil portraiture using basic techniques and considerations. There is heavy emphasis on creating form and building color.